What Are the 17 Different Types of Wallets for Men? Wallets are a way to make a statement. Imagine being on a first date at a fancy restaurant and pulling out a frayed and worn-down wallet. Or worse, you are still using the wallet from your superhero obsession day — a Spiderman picture on a wallet? Yeah, it’s safe to say that there won’t be a second date in your future. Wallets are not just for storing your paper notes and coins. They also reflect on your overall style as well as personality. When choosing a wallet, it is very easy to be overwhelmed. There are so many options in the market that it’s very easy to get confused. Wallets come in many different materials, sizes, and shapes. It’s essential that you know which one is the best choice for you before you purchase a wallet. We are sure you don’t want a wallet that is not meant for everyday use because it is too uncomfortable or it falls apart after just a few months of use. And what if you bought a wallet, and found one that is a better fit for you, personality-wise? Classic bifold wallets are your typical everyday use wallets. The simple design of these wallets makes them the most common type of wallets used by men. These wallets are designed with your comfort in mind. The slim structure of these wallets is not at all uncomfortable when you sit. numerous designs and colors that look stylish. A trifold wallet is similar to a bifold wallet, just with more compartments. This wallet is a classic; a perfect choice for you if you tend to carry many cards with you. However, make sure that you don’t overstuff your wallet as it can bulge up and cause inconvenience to you. Clean your wallet regularly and only carry the cards that are absolutely necessary. If you are someone who enjoys the minimalist lifestyle, then a money fold wallet is a perfect choice for you. If you don’t carry a lot of things in your wallet then you should invest in a money clip wallet. 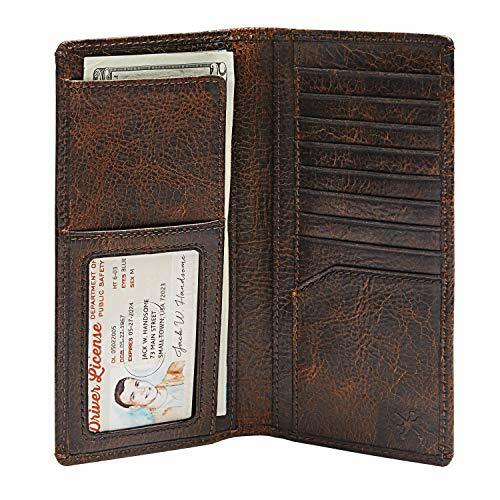 This type of wallet is very common for people who don’t carry a lot of cash with them and prefer to make their payments using their credit or debit cards. This design is a little more advanced than the classic money clip wallet. 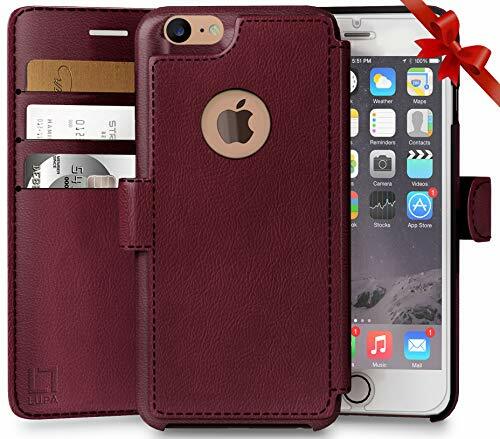 It is specially designed for people who want both the clip and card slots. 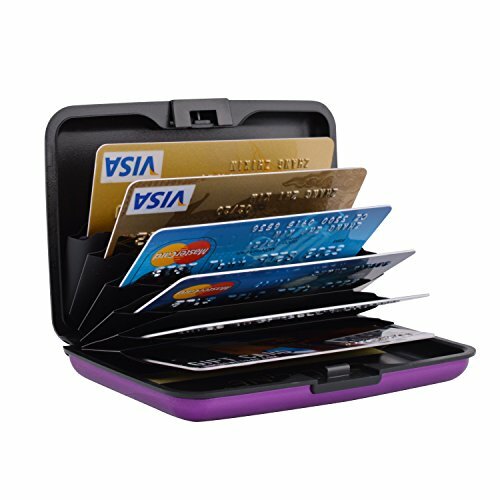 Some people find it difficult to manage cards and cash on the same slot, so this wallet gives them separate compartments for both. This wallet is like a bifold wallet, with a money clip attached to keep the paper money in one place. If you are someone who has to carry your checkbook with you a lot, then this is the perfect wallet for you. In this age, most people use their credit cards to make the payment. However, there are some professionals who prefer writing a check. Owning a checkbook wallet gives you the opportunity to carry your checkbook with you at all times without the worry of it getting creases or folds. You can also use this wallet to carry your passport. This is a popular choice among people who wear a suit or sport jacket on a daily basis. This wallet can easily fit inside the breast pocket while remaining flat. Cash and cards are not the only things in a man’s wallet. You need a slot for coins too. Isn’t it annoying when you open your wallet and all the coins come crashing down? Not to mention it will be embarrassing crawling to get them all back. This wallet will help you keep your cards, cash, and coins in an organized way and make your payments smoother. Most people avoid getting a standard wallet with a coin slot as it can get a little bulkier. But if you choose the right kind then this won’t be an issue with you. A chic leather wallet with a coin slot is not only stylish but also very classy. This is another must-have wallet for all the style enthusiasts out there. A cardholder wallet is incredibly slim and allows you to store your business cards and credit cards with ease. Imagine how embarrassing and unprofessional it would be if you have to dig into your wallet to fish out your business card. This wallet will ensure that there is no cash or receipts in your way when you have to give your business card to a potential client. If you have a luxurious taste and want to make a great first impression, then the alligator wallet is the perfect choice for you. These wallets are crafted with perfection and are made from real crocodile skin. These are not only stunning to look at but are also very long-lasting. The wallet contains slots for your cards and paper money. This wallet is a picture of luxury and lavishness. If you don’t carry a lot of things in your wallets, then these small pocket wallets will be perfect for you. These wallets are specially designed for people who carry minimal cash and cards with them and don’t want to deal with a big and bulky wallet. This wallet can be an ideal accessory if you are going short distances or running errands. There are different colors and materials you can choose from. This stylish and secure wallet keeps all your eggs in one basket – cash, cards, and keys. Isn’t it irritating that you have to check all your pockets looking for your home keys, only to realize you put it inside your briefcase? If you get this wallet, you will not have to worry about this problem anymore. The keys are not inside the wallet but are attached with a key ring outside. This wallet is also very handy for backpacking trips. You can just lock your backpack and jump in the water without worrying about your belongings. Zippered wallets provide you with an extra cushion of protection. You will not have any chance of losing your possessions when you have a zippered wallet. These wallets are very stylish and compact, and allow you to carry all your things easily. You can even store coins in this wallet so that they don’t slip out of your reach. Now you can carry all your membership cards without the fear of dropping them accidentally. If you are a police officer, a health inspector, or someone who has to show their ID card quite often, then owning an ID wallet is a must for you. ID wallets come with a translucent or transparent cover on the inside where you can store your ID and flash it whenever you need. This is much easier than fishing it out constantly. This type of wallet can save your time and also provide you with comfort. Every man must own a travel wallet for his exclusive and adventurous travels. While traveling, you need to keep all your documents properly arranged. Your ticket, boarding pass, passport, and foreign currency should be kept in plain view so you can produce it whenever necessary. A travel wallet comes with separate compartments for all your things and provides you convenience. This wallet allows you to store your cash, cards, coins, and cell phone in a single place. If you have a habit of forgetting your phone, then you should definitely get this wallet. These wallets have a slot for all your things which makes it a convenient and stylish choice. You can easily manage all your things and will not have to hassle while looking for your phone. FYI, my wallet of choice is the cell phone wallet combo. I love it because I have everything I need in one convenient case. For a while I used a hard-case wallet. It was cool in some ways, but I ended up breaking two them by stuffing them too full of stuff just like George from the “Exploding Wallet” Seinfeld episode. The selling feature of these wallets is they block RFID scanners so that your credit card info can’t be stolen. I’m not paranoid about this sort of thing so the wallet’s main purpose was lost on me. The reason I gave this wallet a try is it’s fairly compact. However, now that I carry a cell phone everywhere, I prefer the cell phone wallet combo option. The tall wallet is old school and was more popular 40 years ago. They’re larger wallets that fit well into the inside pocket of a suit or jacket. Their length makes it easy to retrieve from the pocket. Wallets are not just a fashion accessory but also an essential item for everyday life. It keeps your cash and cards safe from being stolen or misplaced. Not to mention it is stylish and elegant. Owning a good quality wallet adds to your persona and class. Choose your new wallet from the list above and flaunt it to create a lasting impression.